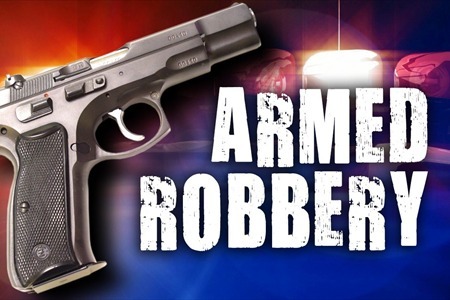 On Saturday, Amarillo police officers were dispatched to a robbery that had just occurred at a business in the 800 block of Amarillo Boulevard East. Employees told officers that the suspect entered the business and pointed a handgun at them. The suspect demanded money, but left on foot before anything could be taken. The suspect was described as a Hispanic male wearing a brown jacket and blue jeans. Officers located a male walking in the 1000 block of Amarillo Boulevard East, who matched the description of the robbery suspect. The male was identified as 19 year old Jeremias Medina. A replica hand gun was located in an empty lot where Medina was walking from. Officers confirmed that Medina was the suspect who had attempted to rob the business in the 800 block of Amarillo Boulevard East. Medina was arrested for aggravated robbery and local municipal warrants. He was booked into the Potter County Detention Center.